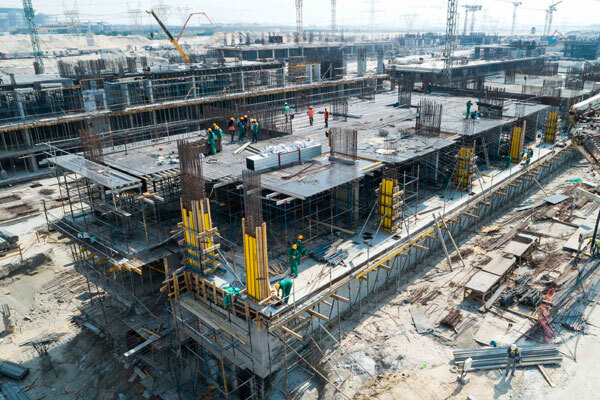 Azizi Developments, one of the leading private developers in the UAE, has announced a major construction milestone for Azizi Riviera, its flagship Dh12-billion ($3.26 billion) waterfront community project located at Meydan One in Dubai. The construction work on Azizi Riviera, which was launched in July 2017, is now 20 per cent complete. The mega development, which boasts 16,000 residential units, will feature a unique architecture, which, while drawing inspiration from the French Riviera lifestyle, will also contain versatile, contemporary elements, said the statement from Azizi. Outdoor recreation and proximity to the business hub of Dubai and other leading attractions, including the future Meydan One Mall and the Meydan Racecourse, home of the Dubai World Cup - the world’s richest horse race day, further contribute to making Azizi Riviera a sound return on investment, it stated. On the project progress, Azizi said the ground floor works had been completed across the mid-rise buildings that comprise seven to 10 floors. With the first floor construction ongoing, and second and third floors expected to begin construction in August, Azizi Riviera is progressing towards a timely completion, said a top official. "Azizi Riviera continues to be a unique waterfront residential development in Dubai. It stands to offer residents and investors high ROI (returns on investment) via an appreciation in property value in the build-up to Expo 2020 and beyond," remarked Group Chairman Mirwais Azizi. "It features a stunning French-Mediterranean approach to design, plenty of amenities, a community-oriented lifestyle and views of the Dubai Canal and Dubai skyline," he noted.